I'm copying The Accidental Genealogist and doing 11 for 2011. 1. Write up what I know of John Shelton. 2. Write up what I know about Laura Wilkinson. 3. Write up what I know about William Mason Conner. 4. Fill in some blanks about Thomas Conner. 5. Write the Mariani history as I know it. 6. Source all of the above. 7. 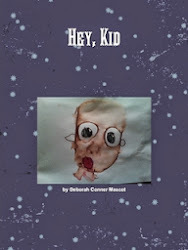 Begin a family newsletter for descendents of William Mason Conner. 8. Find descendents of William Mason Conner. 9. Teach a home school class on family history for young children. 10. Toss all of the above to 2012's list when I find something really exciting on some other line that wasn't on The List. I just ordered 36 articles and know how much it cost me? $36.00. Once I get them, they will have filled my chest with treasures. 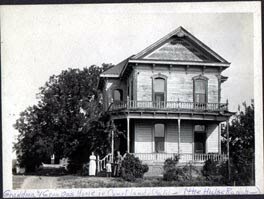 They also have wonderful blogs filled with great articles about the county's history. I (heart) the Lucas County Genealogical Society of Iowa. 3. Who gave me this picture???? This week, I found a new cousin- well, Mom's first cousin (half). I'm so excited! Jason is the grandson of my grandmother's half sister, Fern (daughter of Victoria Robbins). I'm excited to tell him what I know and learn all about Fern and her life. I also have new dear friends from the Cain family. We email and I am so glad to know them. What a wonderful Christmas gift for me! New family. As a child, Christmas Eve was always at my aunt’s house. We would drive the 40 or so minutes and have dinner and then open gifts. It was truly a mad-house of glee. Wrapping paper and gifts flying everywhere. No clue who gave what or to whom, but everyone enjoyed it. Grandma and Grampa always gave me savings bonds, which I actually loved. They made me feel more permanent in a way. They were for LATER. Everything else was for NOW. My aunt always gave me wonderful clothes that we would never buy for me- beautiful sweaters and dresses. She knew what was hip and cool and always got it for me. My other aunt always got us things with our names, like a duffle bag one year. I loved that. We would drive home late, singing Christmas songs (this was before car radios with constant music, so we just had to do what we knew) and secretly looking out the window for Santa sightings. Our first Christmas together was just a few months after we started dating, but we were already living together - at my mom's house. Marc had a room in the back. He got me a stuffed penguin (that I still have) and I got him a Paddington bear (that he still has). We lived together in Mom's house until sometime in 1986 and then we moved out on our own. We got married in 1988 and have been happy every moment since. Okay. Not EVERY moment, but all the important moments. Our family never visited cemeteries or made shines to our lost family members, but I think we honored them in our own ways on holidays. We try to keep the traditions alive and try to keep together. I think the loss of my grandmother was the most hard-hit one for all of us, since she was so young. It's her traditions that we kept up and her children, grandchildren and now, great grandchildren, that we keep together. My cousins and I are still close-knit and while we don't spend holidays together any longer, we do it during other times and we think of each other during the holidays, I know. I remember singing the traditional Christmas songs in school and then teaching them to my little brother. We'd ruin those poor songs between us. I remember on Christmas Eve driving back from my aunt's house singing, "Mary had a baby, yes, lord. Mary had a baby, yes, my lord. Mary had a baby YES lord. The people keep a'coming and the train done gone." Only we sang it really, really, really fast. And over and over again. We were also big fans of the changed up versions (think "Batman Smells") and of any that we could sing in rounds. I don't remember ever caroling as a family. My school choir class caroled one year at the retirement center, though. I remember the people all dressed up and smiling at us. I felt like the most important special person in the world that night. They treated us like gold. My very favorite Christmas song, though, is Bing's White Christmas. Only because it was my grandmother's favorite (the grandmother that my daughter is named for). She loved the song and because of that, so do I. My family is not at all religous and we never attended any religious services. When I was in high school, I went to midnight mass to a Lutherin Church. I thought it was a beautiful sing-along and the church was so pretty that I ended up getting married there years later. My mom always did all the shopping for our family and it was done early. That's just how my mom rolls. She's organized, thorough, and early. I try to be like her, but I try too hard most times and just mess it all up. I don't do Christmas Eve shopping unless something is forgotten, but I still do have a few last minute items to get this year and it looks like Tuesday will be my first opportunity. Also, I do a big batch of soap for coworkers and clients and my supplies aren't even here yet. So those will be Happy New Year's gifties this year instead. 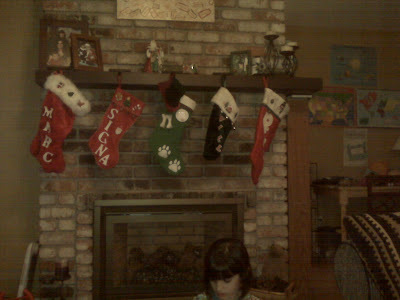 Stockings are always filled with fun little things. As children it was small toys and candy (always a lifesaver story book and chocolate coins). As we grew older, it was fun small things like perfume and makeup. Sometimes Santa puts useful items like a coffee mug or an ornament for the adults. My dad wasn’t always patient when it came to Christmas gifts. He grew up opening all the gifts on Christmas Eve, whereas Mom great up opening them on Christmas Day. When it came to raising a family, somehow Mom’s traditions won out and our gifts were (almost ) always opened on Christmas morning. However, there was a Christmases that I recall, where Dad talked my brother into the two of them opening all their gifts Christmas Eve. Mom and I sat there in protest and made tisking noises, but they continued until they were totally done. They were smiling and gloating over all their gifts, basking in what they had and what we didn’t. We just sat there and then Mom cleaned up and we went to bed. The next morning , all my brother had was his Santa gift, but Mom and I kept going and the boys sat there, watching us have a lovely Christmas morning while all they did was sit there. That mistake was not made again. When I was 9, we lived in a teeny, tiny town in Northern California. By “teeny, tiny” I mean it was population 50 (FIVE ZERO). My school had two classrooms: one for Kindergarten through 2nd grade and one for 3rd through 8th. I was in 4th grade and so in the older class. We had 12 children. For high school, they had to be bussed into town an hour and a half away. The times were different then (although just the 1970s) and my class put on a Christmas pageant telling the story of the birth of the baby Jesus. I can’t believe there wasn’t a big stink about it, but I guess in a town of 50, the 38 people left that weren’t IN the pageant were mostly fine with it. Had it been larger, I’m sure my parents would have objected, as we are not religious, but what’s the point of making a point to 38 people? So we did a play in the front of our classroom one night. I was the angel who blessed the Baby Jesus (a doll) with one line. My mom, who like me does NOT sew, had to come up with a costume. So we went with one of Dad’s white t-shirts and my hip 1970s tall white Wonder Woman boots. I had one line (I can’t remember it now, but I know that I rocked it then. But right after my scene was over, I forgot that they were changing the set around and accidentally ended up on the show side of the divider for the next act. So I panicked inside for a bit and then went with it and pretended I was an angel from above looking over them. I made “praying hands” and kept nodding and smiling at all of the actors on stage. As I went through my genealogy database for December birthdays, I didn’t have a single one for ancestors. I have a living cousin who is very special to me born in December (hi, Paul!!! ), but I don’t want to give too much info on the living (unless it’s me), so I turned to marriages in December. There are numerous distant cousins who would be celebrating their anniversaries, but nothing I felt like writing about. So I moved to deaths and scrolled through looking for someone who spoke to me this Wednesday morning. As my eyes came to Victoria Helen Robbins, I knew I found my gal. 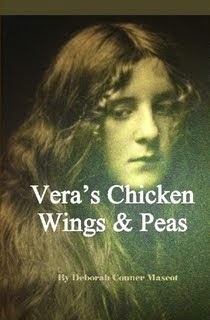 She was the first wife of my great grandfather, Cora Edwin Shelton (aka Charles). I’ve told Cora’s story before, but I haven’t delved much into his first family. As I looked at Victoria’s December 5, 1907 date of death in Oakland, Alameda County, CA , I just knew that she’d be the next person I learn more about. I pulled a FTM report for her and suddenly, her story came a bit to life. Or at least the end of her story. Is that fun? Does that make you love Victoria Helen Robbins? Not me. I never loved her. Until the relationship tab showed me that she had a baby on November 30, 1907. A baby that died that same day. And her 4 days later. Now her death means a bit more. I know she grew up in Prairie du Chien, WI. And I know my great grandfather was supposedly in WI at the time of his mother’s death in 1906. I don’t know how he ended up in WI, but I’m having to fill in some lines with possibilities- there is an elder Shelton in Prairie du Chen- possibly an aunt or even grandmother of Cora. I know he was a troublemaker. At the divorce, did Mom say, “John, I can’t handle that boy. You take him.” I know he was with John and his new family in 1880. Did John then say, “Oh my holy hell that boy is trouble!” and send him to live with great aunt Harriot? No idea. He’s not in a census there, but I haven’t looked harder. I just like to guess for awhile and then prove myself entirely wrong. Anyway, back to our lady of the hour, Victoria. At some point soon before this baby and this death, she traveled from WI to CA. Far from family and friends. I know they had children with them (2 boys and 1 girl). And I know that (as I mentioned) he was known to be quiet, keeping to himself and moody. What a freaking lovely trip that must have been. Plus she was pregnant. Then she had the horror of losing a baby and then her own live. Now I want to know “my” Victoria better. I want to learn all about her even though she isn’t my own great grandmother. She fits in nicely with my family, so I’m adopting her. I am working on my SHELTON line again and found Thomas Shelton, 4th great grandpa. A few months back I found reference to this whole Marying Squires thing, but it sounded too funny and cool to be true, at least of my family. So I've been looking into it. Highlighting the history of Aberdeen is the story of the "marrying squires", Thomas Shelton and Massie Beasley. Between the two men, they are credited with performing more than 32,000 marriages during their terms as Justice of the Peace from 1822 through 1892. Shelton served as justice from 1822 to 1870 and is credited with more than 25,000 marriages; Beasley held the position from 1870 to 1892 and performed 7,228 marriage ceremonies. Because of its reputation as a place for young couples to get married, Aberdeen became known as Gretna Green, after the famous town in Scotland where young couples eloped. An interesting twist to the marrying squires story is the fact that most of the marriages performed by Shelton were illegal and many widows of the Civil War were unable to claim pension benefits from the United States government because there was no record of their marriage. "There was no record of the marriages and it took a federal act of Congress to legalize those marriages," Kay said as she thumbed through a book housing the written history of the marrying squires. Museum trustee Mike Faris said legend has it Shelton would "loan you a ring and take it back" after the ceremony was performed. Yikes, no. I admit to only actually having it twice, but neither time appealed to me. And I do not like those green and red cherry things. I did have someone once share a fruitcake recipe and it made it sound much better than others, using real fruit and cloth wrapped in rum or some such thing. But the time it would take to make would not be worth it, just to see if there was a fruitcake I enjoyed. I will be reading the blogs today to see what others have to say. Maybe I just haven't had a good one! We never had to travel far for Christmas. Our family was near enough and then, in the past 25 years, everyone has traveled to us. I'm a homebody for Christmas and have no desire to spend much time away from my Christmas tree and Christmas decorations. 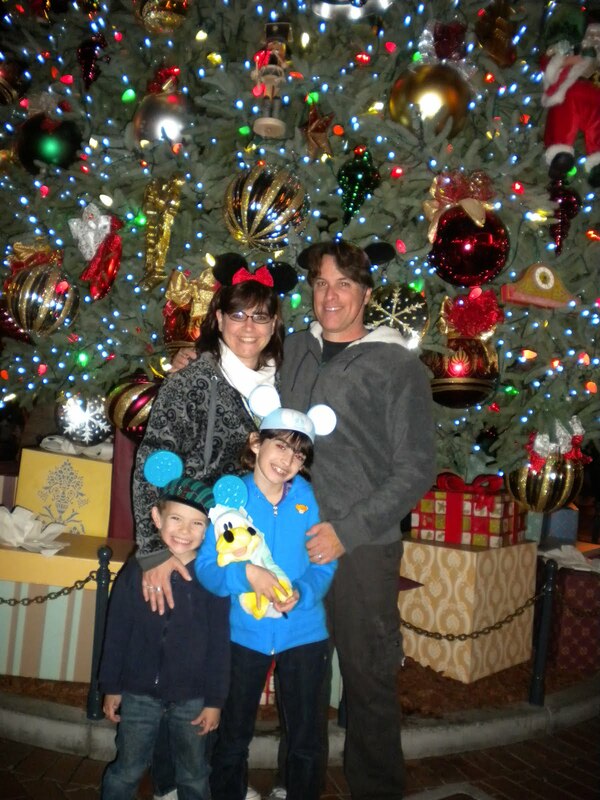 We did travel this year in December, though, for a 5-day visit to Disneyland. We had a wonderful family vacation that we will all remember for years to come. But we are home for Christmas. Sadly, we have never made charity a priority as we should. We do Toys for Tots each year- the children now choose and buy a gift with their own money. And I sell children's books and donate all of my commissions from September through December to a charity. We love to watch Christmas movies. As a kid, it was all those on ABC, NBC, or CBS. Rudolph, Frosty, Charlie Brown. We always got the TV Guide and I'd go through it and mark the dates and times for Christmas movies. Now with DVR, DVD etc, we pretty much have all bases covered, but we still like the above classics. Add in Christmas Story, Elf, Christmas Vacatation, and Funny Farm and I'm all set with Christmas movies. Our gifts always started on Christmas Eve, where we could open ONE gift. It was a teaser gift- usually pajamas or a stuffed animal to sleep with. Then in the morning, we went first to the stockings, then to the Santa gift, and then to the others. We gave and received gifts from everyone- never drew names or the like. We still don't do the name drawing thing. Now a'days, likely due to my learning to be crafty, most gifts are homemade. Not for Marc and the children, but for just about everyone else. I love spending time on gifts, since I'm not so great at shopping. Plus, people buy what they want for themselves- they don't need me doing it. So I give them my time and my love and create things for them. And it's these same kinds of gifts that I love to receive. Homemade and filled with love. Except that one year when Marc surprised me with a pet hamster. That was pretty awesome. Last year we began another new tradition with Advent Calendars. I noticed the December before that we were so busy doing fun things that we didn't have time to enjoy the fun things. So last year, I made one fun thing a day (even if it was a coloring page). I put the ingredients for the fun thing (or a slip of paper outlining the fun thing) in paper bags alternating red and white and lined them up on the bookshelf. Every morning the children got to open a bag and find out what our thing was that day. They liked it so much, that we are doing it again this year, but with fancy boxes instead of lunch bags. I already shared the recipes for my mother-in-law's fig cookies. My own mom has made chocolate chip cookie bars and Russian tea cakes every year for as long as I can remember. She makes big batches and gives away giant platters as gifts and never ever does anyone say, “Gee, that’s too many cookies.” They are so delicious that before you can finish saying the second “e” in “Gee”, the cookies are GONE. We have family get-togethers, but not “parties”. Our get-togethers are loud and crazy and exciting. Everyone is excited because IT’S CHRISTMAS! The children want gifts and ate too much candy and the adults catch the excitement from their children. The sound is deafening and wonderful. We have three such events these years. The first is with Marc’s family. We drive to his mother’s where she makes ambrosia salad (and other things) and the children all get car-loads of gifts. The second cousins all play with each other like they won’t see one another again for a year. Which is true of most of them. They do make up for lost time, though, and we are all sad when it’s over and promise to do it more often next year. We then have a new tradition of going to my brother’s for Christmas Eve. We sing and eat and sing some more. Now with my new nephew, it will be even more wonderful to spend time there helping him have traditions to remember his whole life. And then Christmas Day at our house with chili and crazy excited children and hopefully a new Sally for the porch! Santa has always come to our house on Christmas Eve. He fills our stockings with trinkets and leaves a gift for the children. He used to leave gifts for us, but when we had children, he switched to giving them gifts instead. I’m sure he must have known that this is what makes us happiest. Plus one year, he brought us a family present, so I can't feel too disgruntled. Santa eats a cookie and has egg nog while he works at our house. He also sometimes leaves crumbs and beard around here and there. We look for it every year. And this wasn't just the past few years that we've had children. Since we don’t have a real chimney, we have a special key for him that we hang on the door outside. It only works for Santa and it’s VERY fancy. The kids sprinkle reindeer food on the lawn and we hang the key and tuck in for the long night. 1. We spent 5 days in Disneyland. 2. I apparently don't know how to use Blogger Scheduling correctly. Backlog of posts coming up. We mostly lived in the country and I don’t remember ever doing any outdoor decorations. Now that I have Marc, he goes all out. Last year, in addition to the lights on the house, he created a Jack Skellington who appeared on the porch Christmas morning. Created out of pipes and boxes and junk. 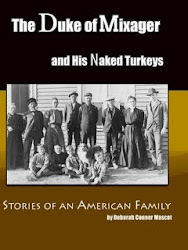 Thank you, Jenny at Are My Roots Showing (isn’t that the best name for a genealogy blog?!?!? ), for the Ancestor Approved Award! What a surprise to wake up to this morning. The Award Rules: The recipient of the Ancestor Approved award lists ten things learned about their ancestors that have surprised, humbled, or enlightened. The recipient then passes the award to ten other bloggers that are doing their Ancestors proud. 1. Don’t assume things. Just because someone was in the census with a husband in 1860 and then with someone else in 1870, doesn’t mean the first husband died. They could have d-i-v-o-r-c-e-d. Really. It could happen. And if it happened to happen, you would probably spend years and years looking for a stupid death certificate for no reason. I’m just sayin’. 2. It humbles me still to learn that my great, great, great grandparents couldn’t read or write. Not humbles in a way where I’m embarrassed for them. Just humbled because it made their lives even harder. 3. I have ancestors that came on the Mayflower. That isn’t anything important in itself, but see my #5. 4. It’s a very small world. My parents met 150 miles from my dad’s home in my mom’s hometown. They were cruising the Strip in separate cars and married 2 months later. On the other side of the country, over 300 years before, Dad’s many times great grandfather bought some books from Mom’s many times great grandfather. I love that. 5. I do not hate history. Now that I have a frame of reference for most history in my own family, I found that I *LOVE* history. In school? I hated it. 6. If you send a 200 page genealogy chart to 50 relatives, they are bored to tears and you never hear from them. If you write up a 10 page story and send it with pictures, people like you a lot more. 7. Ancestry dot com *IS* worth it. 8. Google Earth-ing to your ancestors homes is really freaking cool. 9. My great, great grandfather was alive into the 1970s, but the only time my dad spent with him was the short visit when I was 2. It surprised me that they weren’t all close like we were with my great grandfather. 10. Just because you don’t know a lot about someone, doesn’t mean it will stay that way. A little bit can get you a long way. In fact, those lines that had already been researched and GIVEN to me with documentation mean a lot less to me than the ones that I found all on my own with little detail. I know them more. Maybe more than they even knew themselves! My mom ALWAYS sends Christmas cards. Always. It’s a big ordeal as she writes notes in each and sends to everyone, keeping in touch annually. She makes me proud. I strive to do this. I have at least addressed and put together holiday cards every year- it’s just that I know of at least two years in the past where I never mailed them. By the time I got around to buying stamps, it was time for Valentine’s Cards. But hopefully those years are over and I now have my fancy homemade cards ready to go and the post woman is supposed to bring my stamps any day now (delivery is my new favorite word). As I mentioned on the Christmas Tree page, our tree growing up featured a lot of red glass bulbs and then a mish-mash of keepsake ornaments. I inherited most of those "keepsakes" (i.e. Homemade in Kindergarten) and they now hang proudly on my tree every year. There are many that I admire and smile at as I hang them- the felt ornaments, now completely falling apart, the pinecones with googly eyes glued on to make them look like owls, the silly toys that have doubled as ornaments for years. But my personal favorites (patting myself on the back here, but oh well) are the pair of Debbie’s Brains. They are so ugly and so stupid, but I made these in grade school and I love them. Each one is a melted piece of circular plastic with broken glass inside. 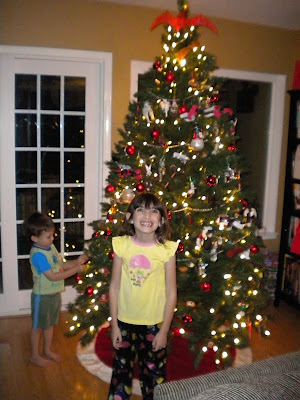 There is a curly ribbon tied through them so that they can hang on the tree. They are so ugly. And I love them the best. Even more than the ornaments my own kids have made. Shhhhhh. Another item I have that I consider a family heirloom and, in fact, it sits on my desk year-round is the first Christmas decoration that my parents bought together. It’s amazingly tacky and I amazingly love it. These days and for many past, we stay home on Christmas Day and have an open house. I started making Christmas Chili about 20 years ago and never stopped. I do it in a slow-cooker and it is ready all day for whoever stops by. Sadly, I do not have a recipe, as I just put stuff in until it’s just right. This is the year I will try really hard to write it all down for prosperity. As a child, we usually went to my aunt’s for Christmas Eve and somewhere else for Christmas Day. Food for children on Christmas is really actually superfluous; why eat when there are TOYS and COUSINS! So I remember nothing about actual food, except that ambrosia salad was always part of the deal. Grandma made it. My aunts made it. And now, my mother-in-law, Millie, makes it just for me at every family party. I looked through Millie’s recipe book she made us and didn’t find the ambrosia salad recipe. I’m guessing she just throws it together for me, but here is one from the internet that looks much the same. In a large bowl, combine the oranges, pineapple, whipped topping, coconut, marshmallows and milk. Mix together well and chill 1 hour before serving. Garnish with cherries. In a large mixing bowl combine flour, 1/3 cup sugar, and baking powder. Cut in shortening and butter until pieces are the size of small peas. Stir in the milk and egg until all is moistened. Divide dough in half. Cover and chill about 2 hours or until easy to handle. For filling, in a food processor bowl, process figs, raisins, and almonds until coarsely chopped. In a medium mixing bowl, combine the ¼ cup sugar, hot water, cinnamon and pepper. Stir in the fruit mixture. Let filling stand until the dough is thoroughly chilled. Roll each half of the dough into a 12-inch square. Cut each square into twelve 4x3 inch rectangles. Using a heaping tablespoon of filling for each rectangle, spread filling along one of the short sides of the rectangle. Roll up from that side. Place rolls, seam side down, on an ungreased cookie sheet. Curve each roll slightly. Snip outer edge of curve three times. Bake in a 350 degree oven for 20-25 minutes or until done. Remove and cool. Spread with Confectioners’’ Glaze. Immediate sprinkle with decorative candies. Makes 24. Confectioners’ Glaze: Combine 1 cup sifted powdered sugar and ¼ teaspoon vanilla. Add enough milk (about 1 tablespoon) to make it spreadable. Olives! Really, how in the world could I forget olives! Olives and ambrosia salad were ALWAYS at our Christmas parties. That is the only food sustinance that the children got. 10 olives (one for each finger) and a bowl of ambrosia salad. Thank you, Greta's Genealogy Blog, for reminding me. 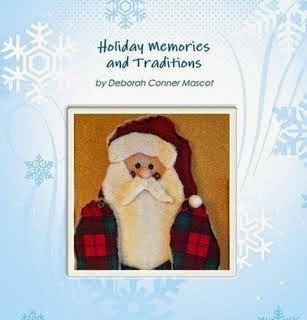 I'm participating in the Advent Calendar of Christmas Memories (http://adventcalendar.geneabloggers.com/) this year, so I'll be posting on Christmases past. Today's theme is the Christmas Tree. As a child, we always had a real Christmas tree. We would go as a family to the tree lot (or a few times when we lived in the country, we’d go to the forest) and pick out our tree. Our trees always had a significant amount of the glass red bulbs meshed with homemade and keepsake items. We’ve kept that tradition in my own grown-up household, with the substitution of a fake tree since that fateful Christmas when a friends' neighbors' house burned down on Christmas morning. Our trees were usually in the 4-foot range, but when you are a child, four feet is the top of the world. And family made it seem even bigger. We usually get a wreath from the tree lot just so the kids have the tree lot/tree smell experience, although we have been known to skip that tradition. One tradition that is all our grown up tradition and began almost 25 years ago when we had our first Christmas together and found we had no tree topper. Marc scavenged and found the perfect thing for us. And I hope it will be passed down for generations to come. Sitting atop our tree every year is the Terry the Pterodactyl. The orange pterodactyl model has been perched on our tree since 1986 and I can’t imagine Christmas without him.